While some of us are tempted by the promises of cheap deals and ultimate convenience that come with package holidays, are they actually worth it? Or is it cheaper and easier to cut out the travel agent and book your own holiday? With more and more people turning to DIY ski holidays, we’ve decided to find out why. So, what are the benefits of going it alone? A ‘tailor made holiday’ offered by a travel company can end up being pretty generic as they are designed for a mass audience with little room to cater to individual quirks. Doing your own research into which resort you visit means you can enjoy a truly personalised holiday experience. Planning a romantic break? Find a picturesque resort away from the crowds. Want to practice your freestyle? 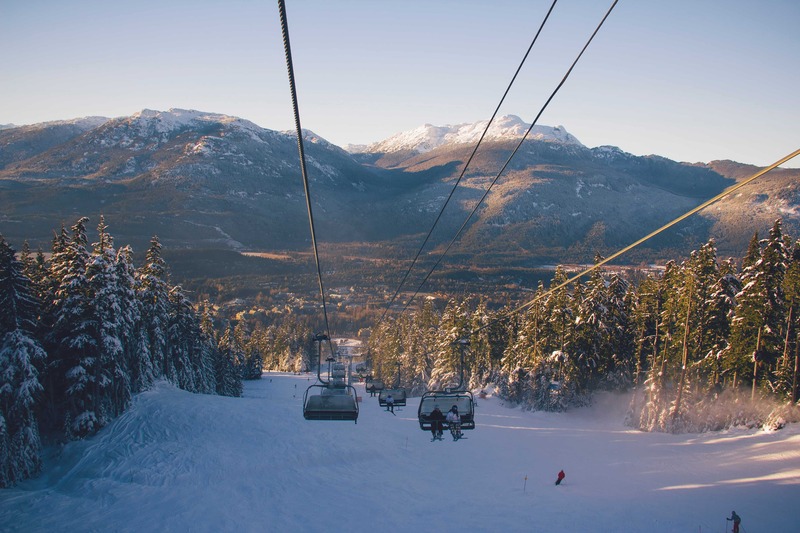 Pick a resort with a top-quality snow park. Looking for a party? Follow the music and Jager bomb trails. Or do you just really like cheese? Then look up the best resorts for fondue! If you’re on a budget, avoiding the big-name resorts could save you a decent amount of money. For example, Italy tends to be a cheaper destination than France or Switzerland and still offers excellent and varied skiing. Staying in a smaller village with good connections to larger ski areas is also a cost-effective option. The resort of Peisey Vallandry, for example, is just a short hop over to the Les Arcs skiing area. Check out the resort’s websites, as they often offer reasonable accommodation and ski pass deals. This way, you’re free to choose your own flights and travel times. By going your own way, you have the freedom to choose your own dates and travel times. If you’re travelling as a couple, or a group of friends you can avoid school holidays and the soaring prices and packed out slopes that comes with them. Choosing to go earlier or later on in the season can also help keep costs down. Just make sure you pick a ski resort with a good snow record for the dates you’ll be there! If you are travelling as a family and can’t avoid the holidays, midweek flights tend to be cheaper than leaving or returning on a weekend. Also, Easter is less crowded than February half term when most families descend on the slopes. Flying is usually the most cost-effective and quickest way to reach your ski destination. Setting up a price-alert with a handy app means you can nab your flights when they’re cheapest. However, if you want to appreciate the Alpine scenery, the train provides a leisurely, scenic route. Something you won’t find in any package holiday ski deal. You can book a transfer from the train station straight to your destination for a chilled out journey. Don’t leave without sorting out your own travel insurance! 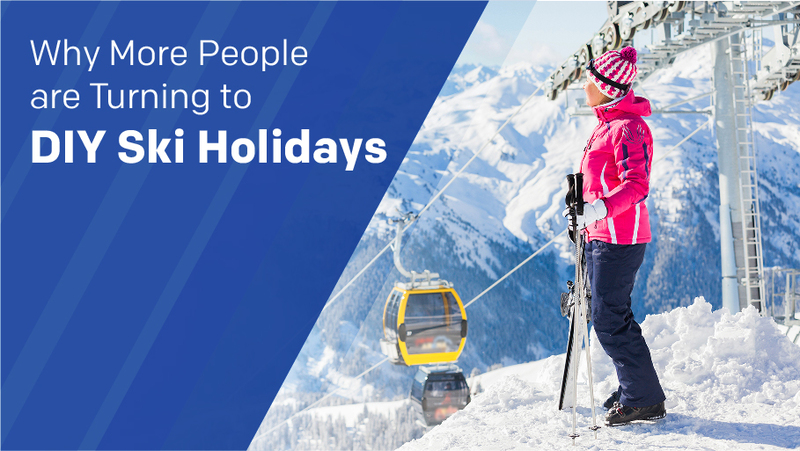 Skiing is known for being the cause of a more than a few holiday accidents so make sure you’re financially protected if you get into trouble. Be sure to confirm what protection is covered by the insurance company so that it stretches to winter sports. A European Health Insurance card is handy as it gives you access to state-provided healthcare in all EEA countries. For those who pump for an all-inclusive holiday package, food is usually included. However, more often than not, lunch consists of an underwhelming burger and chips. If you decide to do it yourself, you have the freedom to choose what you eat every day. This is especially important for those with food allergies and intolerances or picky eaters! It also means you can actually save money on food. Packing a tasty sandwich for lunch on the slopes is cheap as chips and probably healthier than most of the stuff available on the mountain. Head to your local supermarché to stock up on low-cost snacks to keep you going throughout the day. To enjoy your lunch in the warm, find a resort with an indoor ‘picnic room’ and relax, instead of fighting for a seat at the busy mountain lunch spots. Some of these picnic rooms even have microwaves to heat up soup! If you go for a self-catered chalet, cooking together and sharing a cosy dinner in can be a lovely experience, and something you might not have time for at home. If you want to experience the culinary offerings available in the area, you can always have one blow-out night. This way you’ll have the spare cash to try somewhere a bit special and it will feel like more of an occasion. To take advantage of these benefits, you have to be organised. A little more time is needed for the research stage and you need to keep on top of all your arrangements. However, with a little bit of planning, you could have the holiday of a lifetime, free from the constraints of a package trip. If you do decide to go DIY, don’t forget to book a transfer from the airport. Alps2Alps offers low-cost, reliable transfers with extra discounts during low season. That’s one less thing to worry about! Time to start planning an adventure!